This unique and affordable Tritan Horizontal Radius Bin is a sure fire way to rev up sales in your candy store. Created for items such as dried fruits, gummy candies and larger candies that don't "flow" well in gravity bins. The attached scoop allows shoppers to reach the contents without contamination worry and can choose the perfect amount of products they wish to purchase. 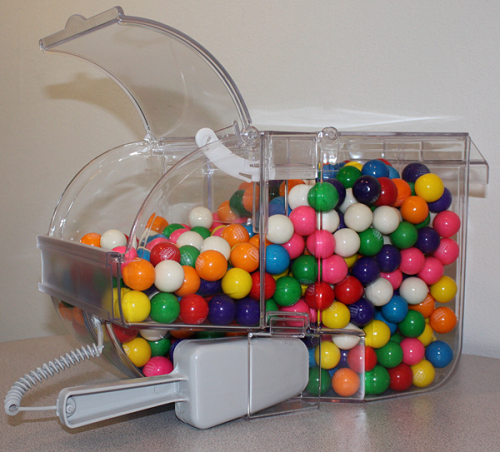 This creates a high return on investment for you and a nifty acrylic candy bin display as well. 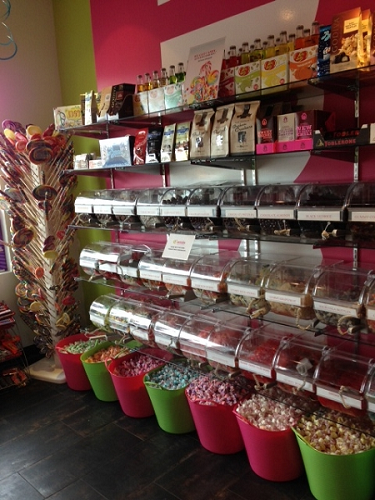 Acrylic horizontal radius bins are the ideal way to display so many popular and tasty wares. Acrylic dispensers are easy to restock and easy to clean, allowing you to save time and money and when candy is scooped out of the bottom the last added products will fall forward into place. This allows for you to always have the freshest pieces at the front for purchase. Buy Now!